After a very successful first season with an impressive 56 episodes, one would have thought the Kejetia vrs Mokola series would have run out of steam by now. Obviously, we haven’t seen many of our TV shows run for that long in their first season. Especially one such as this that didn’t seem to be in anyway complex or deep. 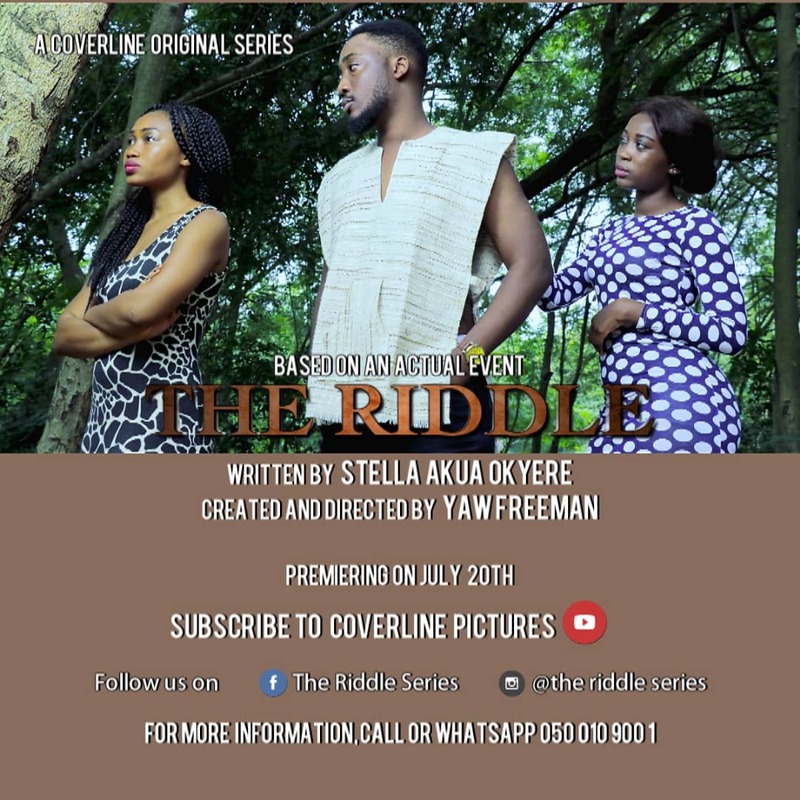 This could possibly be the first time in Ghana, we are having a TV series so successful it spawned a feature length film. That alone is something to be excited about. Throw the controversial, outspoken Charles Nii Armah Mensah Jnr (Shatta Wale) into the equation and then you have more reasons to be excited about this film. In Kejetia vrs Mokola: The Trial Of Shatta Wale, the dancehall king is faced with a court case that threatens to destroy his brand and reputation. 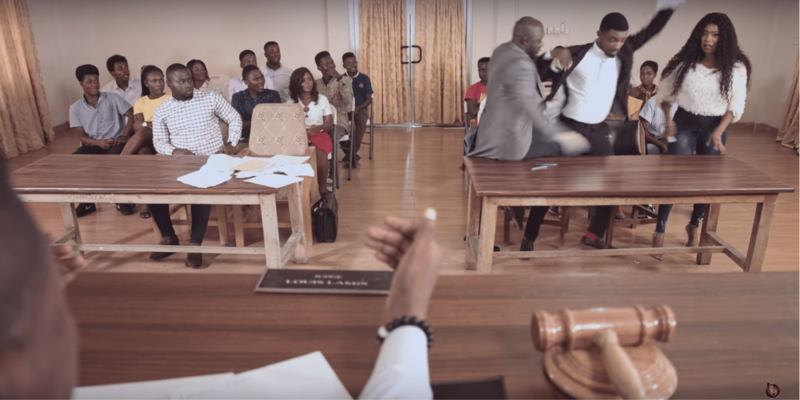 He enlists the help of Lawyer Ntikateche Bombay Isaiah (Richmond Xavier Amoakoh) who is always ready for an opportunity to win against his arch nemesis Barrister Benegya (Nana Gyasi Owusu) in Judge Lamis’ (Louis Lamis) court. The film’s plot toes the same line as the series. Except this time, unlike episodes from the series, the story allows you to see more than just the two lawyers battling it out in the courtroom. We get to see the events that led to bringing the central character, Shatta Wale into the grips of the law. As well as how he handles his predicament outside of the courtroom. We also get to see the two lawyers as their usual witty and hilarious selves in scenarios outside the courtroom adopting cunny schemes and tactics to win the case. In general, the film has the same feel as each episode of the series but has more details backed by several other characters who contributed well enough to telling the story. You don’t have to be a fan of Shatta Wale to be impressed with his acting here in contrast to what we saw in Shattered Lives. He gets to play as himself and perhaps with a little steer from the script and directing, we are shown other sides of him. He delivers enough on being a conflicted superstar on the edge of losing everything he’s worked for over the years. And it’s almost as if he exposes a possible vulnerable side to himself which his fans and following do not get to see aside his outspoken persona. The performances from the other supporting casts played by Solomon Fixon Owoo, Sandra Dulac, Johnny B Hartman and others also contributed significantly to the film. The various characters introduced with this particular story added something we haven’t seen yet in the growth of the Kejetia vrs Mokola series and we would love to see more that in the subsequent seasons. The film also features cameos from the SM Militants, FlowKing Stone, Heiress Jacinta, Shatta Michy, Dr Pounds and Pope Skinny. The scenes in the courtroom turned out to be very hilarious with what seemed like flawless ad-libbing and improv acting from the cast. But we would have fancied seeing the courtroom setup a bit more accurately to give the film a more authentic visual feel, considering that this was an actual movie and not another episode from the series. Nothing beats the vibe and intensity an authentic set design brings to a scene. And for us, that vibe was missing in the court room scenes. Editing was well done in this film but we couldn’t help but notice too many very basic continuity errors that were just glaring in the face of anyone who watches the film a bit more attentively. Also, it appeared that the sound job could have been better done both on the production and post production sections of this film. There were several scenes that had un-even sound levels from the characters during their dialogue. This seemed to ruin the traction those scenes might have had whenever the sound levels fluctuate. We feel this film deserves a 6.8/10 rating for its success at being a very hilarious comedy. Because that’s just what it is. It packs enough humor and laughs to make you sit through it’s dragging scenes that add to its about 160 minutes run time. After this, we are looking forward to some more variety and spice in the second season of the Kejetia vrs Mokola series and we have no doubt that it would be delivered. If you made it to the grand premiere of “Kejetia vrs Mokola: The Trial of Shatta Wale” over the weekend kindly share your thoughts and feedback with us in the comments section below. You can also do well to catch the Leizer-Legacy Productions team at their next stop, the CCB Auditorium, KNUST, in Kumasi on the 19th and 20th of May. And don’t forget to go along with a set of spare ribs. Movie Review: The Slave King: The Chains That Bind Us. Movie Review: Pauline’s Diary; Hurt People…Hurt People.